Body massage is an effective treatment for reducing stress, pain and muscle tension. We want you to relax and unwind and enjoy your luxurious treatment with us. Our specialised treatment rooms have been designed with you in mind. With low lighting, aromatic scents and cosy heated treatment beds, combined with the care and attention of our beauticians, what’s not to like? Facials are a healthy procedure for all types of skin. Most facial routines include a cleanse, tone and exfoliate, massage and mask. If you’re not sure which facial you would like you can decide in consultation with our therapists. 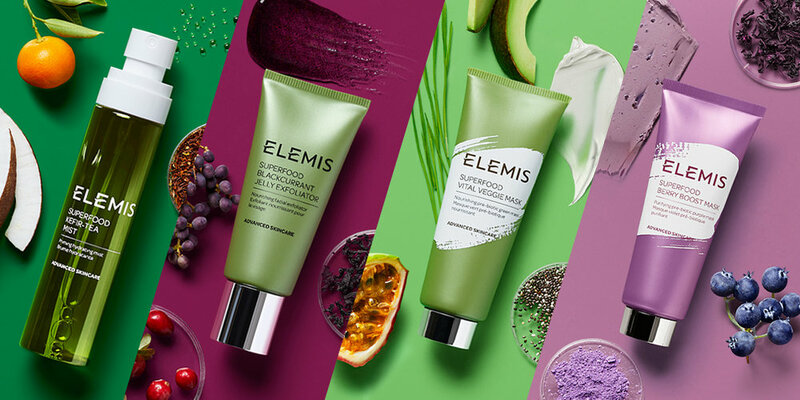 Our highly skilled beauticians specialise in Elemis facials, so why not defy the sands of time with clinically proven anti-wrinkle, radiance and resurfacing facials for instant results. Or perhaps you could try the skin specific and booster facials created for any skincare concerns such as breakouts, stressed and sensitive skin. Specialised anti-ageing massage, combined with proven marine extract, Padina Pavonica, helps re-energise cell communication and rejuvenate skin. Visibly illuminates the complexion to leave it naturally more even and translucently clear. Helping to reduce age spots, discolouration and dull skin tone and texture on the face, neck, arms and hands. 30min Elemis Facial & 30min Back, Neck and Shoulder massage. The perfect combo to relax and uplift at this time of year. Complete indulgence of a 1 hour Full Body Massage & 30min Elemis Facial OR Back, Neck and Shoulder massage and 1 hour Elemis Facial.... sheer bliss. 2 hours of pampering! Full body massage and choice of Elemis Facial. The ultimate relaxation experience at Bonnie Quines.